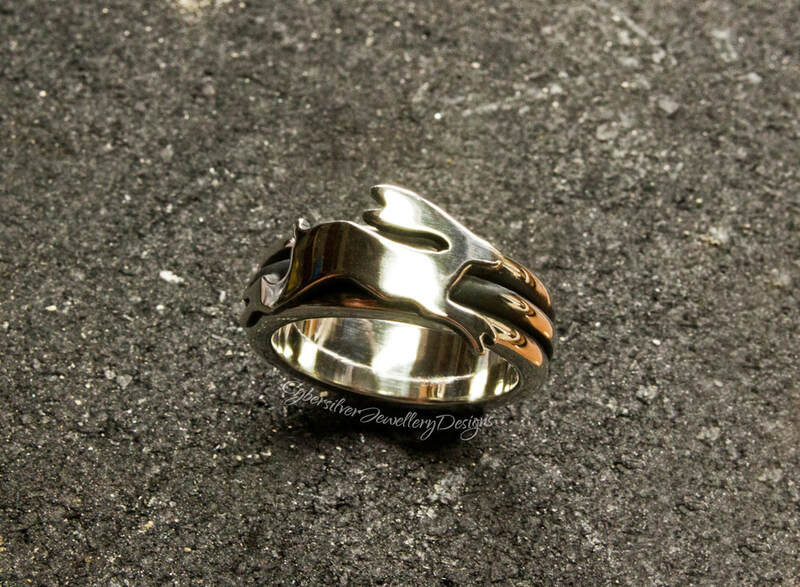 These leaping spring hare spinner rings are gorgeously chunky and entirely hand fabricated by me to my unique and original design. 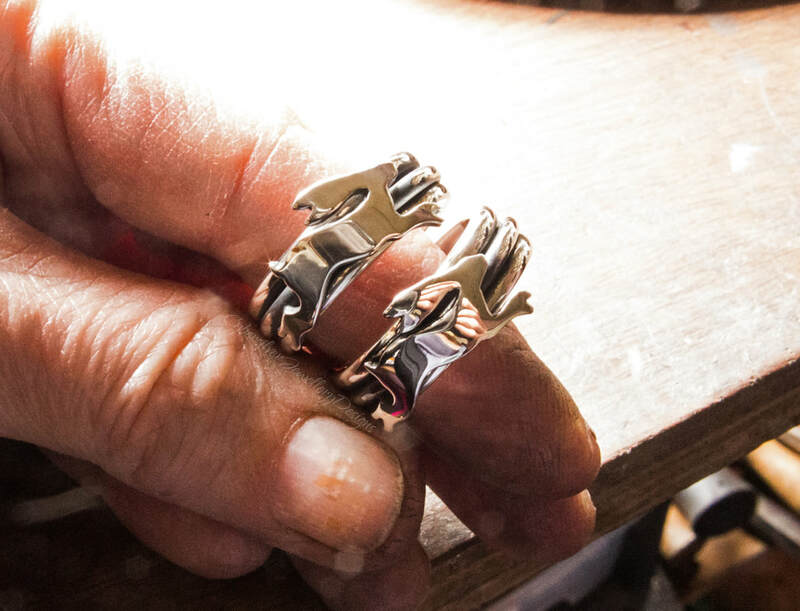 Each ring is created from four thick handmade sterling silver rings soldered together, with the hare ring able to spin all the way around the separate inner ring. 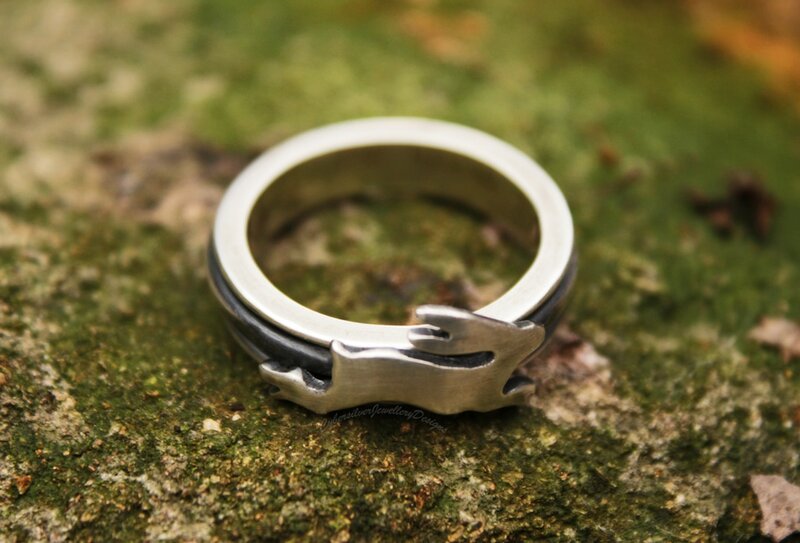 This is a really striking ring - part of my woodland series. Also available in a prancing fox, snuffling badger, soaring raven and soaring dragon version.